A Vim plugin that provides a convenient interactive calculator inside a Vim buffer. VimCalc provides a convenient way to access a powerful interactive calculator whilst inside a Vim session. Quickly rattle off a few sums to test an idea. Perform complex calculations using built-in functions to validate answers. Quickly and simply convert from octal to hex to decimal and back again. Setup a bunch of variables to be used in a complex expression. Change variables easily and then simply re-evaluate the expression. Whatever you may need a calculator for, VimCalc is up to the task. 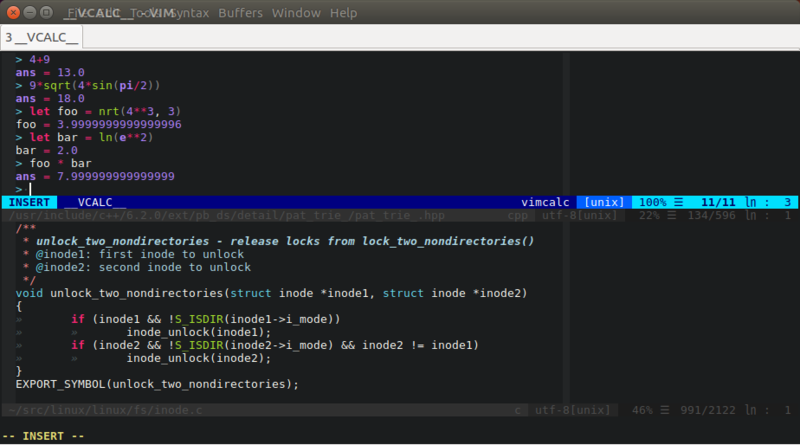 Not only can VimCalc calculate but it uses Vim for input and editing. Quickly and easily perform edits on previous calculations using the power of Vim and then re-evaluate them by simply hitting return. Once you’ve got the answers yank them into several registers and paste with ease into other buffers. 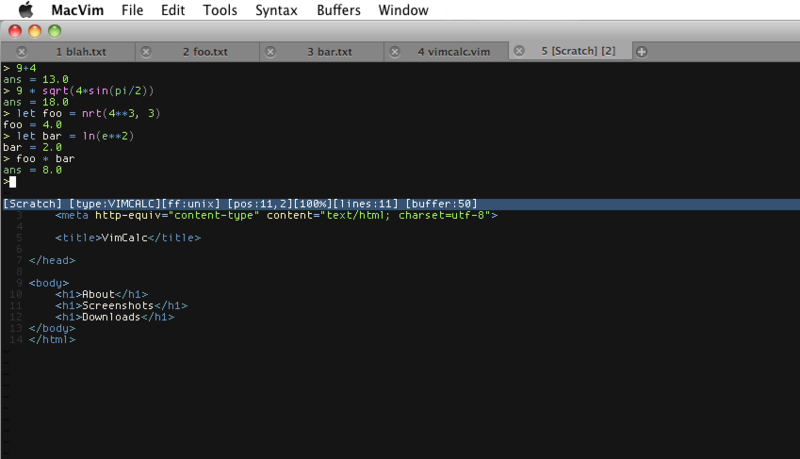 All whilst never leaving your Vim editing session! You’ll find the latest source code and downloads here on VimCalc’s github page.